The microwave oven has revolutionized the way we cook. The fast cooking, fast clean up qualities of microwave cooking fit right into the life styles of today’s busy homemakers. Little wonder then that microwave ovens have now earned a place in thousands of Indian homes. 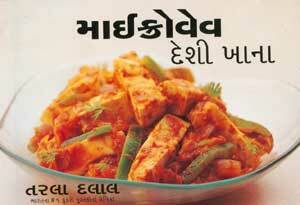 You will be surprised at the number of recipes on Indian food that can be made in the microwave. This book takes you on a culinary tour through every course of an Indian meal.